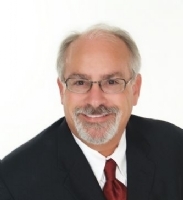 Ken is a licensed Real Estate Broker and Co-Founder of The Classic Realty Group with his wife Paula Robinson. They have over 10 years of service to their clients. During his Business career, Ken has always been involved and active in the Financial Services Industry. In addition to his Broker's license, he is a Graduate of the Real Estate Institute and holds Life and Property Casualty Insurance Licenses in the State of Texas. Until the recent law changes disallowing dual Real Estate licensing, he was also a Licensed Mortgage Broker. Ken's well rounded Real Estate knowledge gives him a unique perspective to understand the entire process of negotiating, purchasing, financing and insuring a home or marketing a property for sale. Ken is a graduate of The University of North Texas in Denton, Texas. He holds a Bachelors of Business Administration Degree in Banking and Finance. Paula and Ken embrace the Company Philosophy of "Where Service Is Still Delivered". They know their business continues to grow from repeat clients or referrals therefore they pride themselves with going above and beyond to assist their clients with the best possible real estate experience. They love what they do and make a great team!